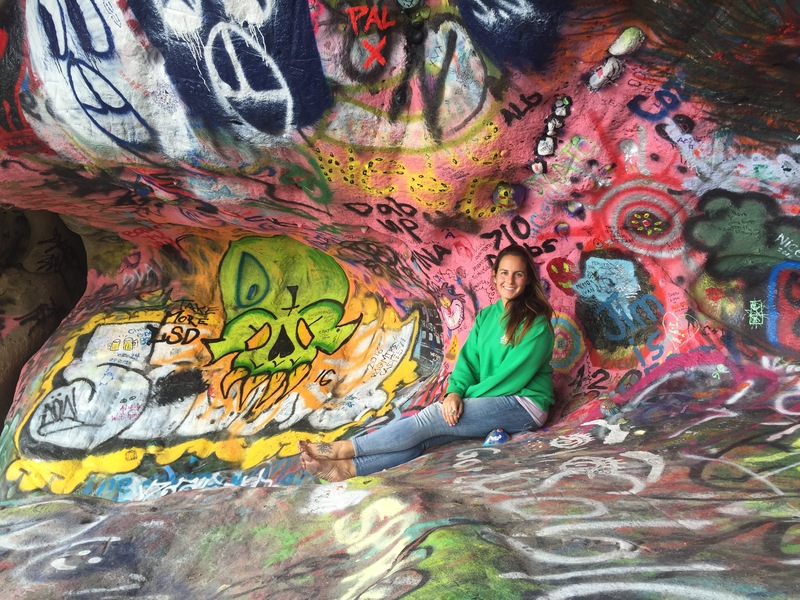 I had heard about the supposed “Jim Morrison Cave” in Malibu through a coworker and thought it would be a fun place to visit while my sister was here in California for the week. 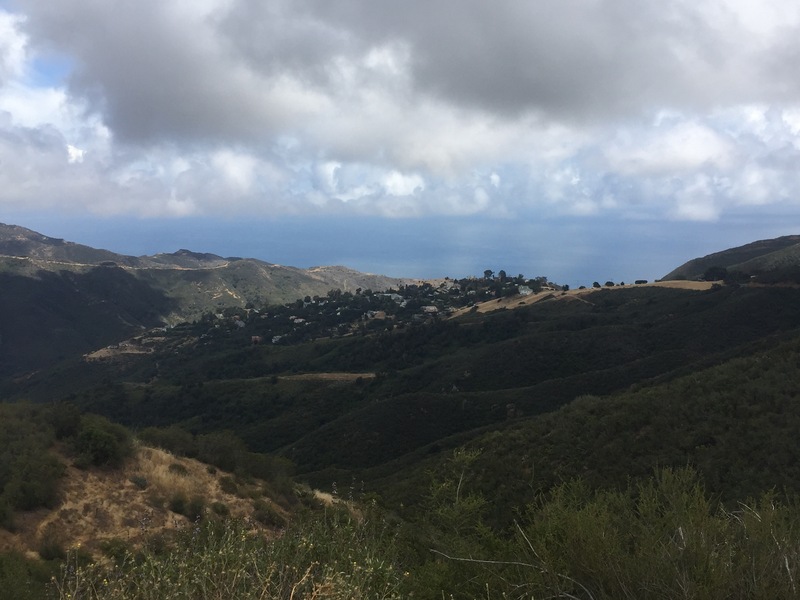 The cave is located in the hills above Malibu, and the story is that Jim Morrison used to visit this place when he wanted to escape from the crazy Hollywood scene. 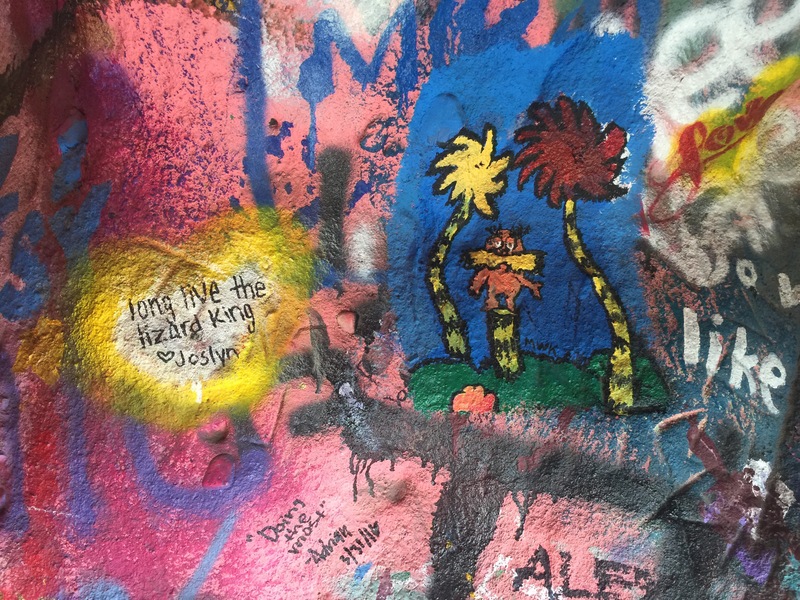 There’s not much proof to the story, but people have “decorated” the cave with tributes to the Lizard King and painted other graffiti all over the inside of it, so it now looks like a piece of artwork. 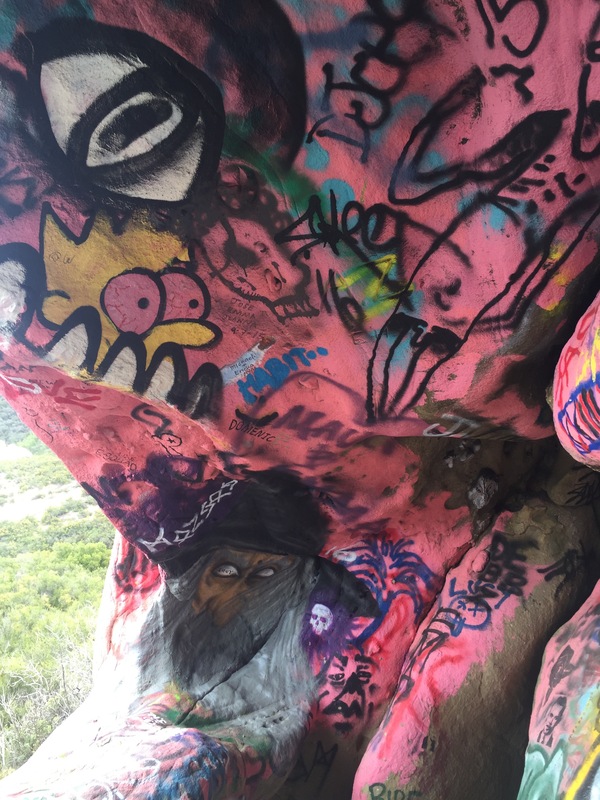 Unfortunately, this artwork was painted in a cave that was once part of the lands of the Chumash Indian tribe, and obviously is destruction of property, so the day after my sister arrived, we heard that the cave was closed to the public. 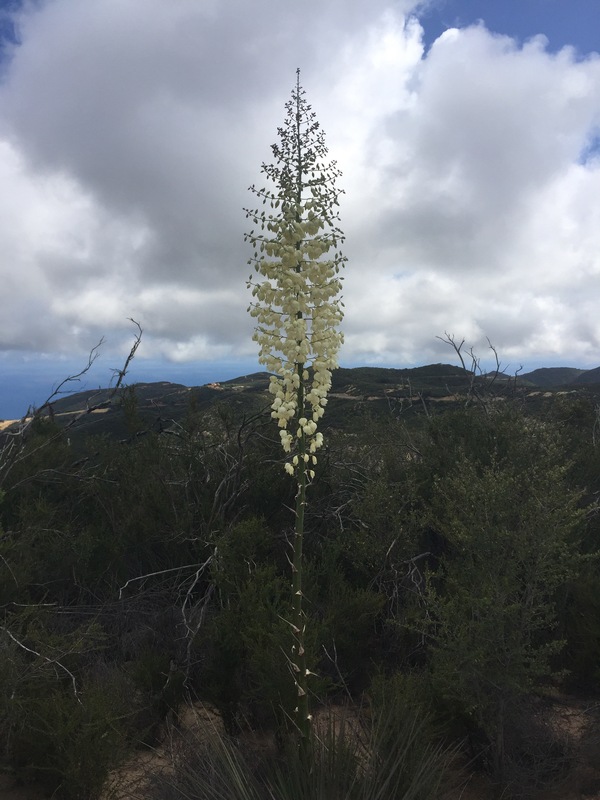 We still planned a visit to the Corral Canyon area for the day of her departure, and thought, if we see the cave, we see it, and if not, we will still have a nice hike in Malibu. 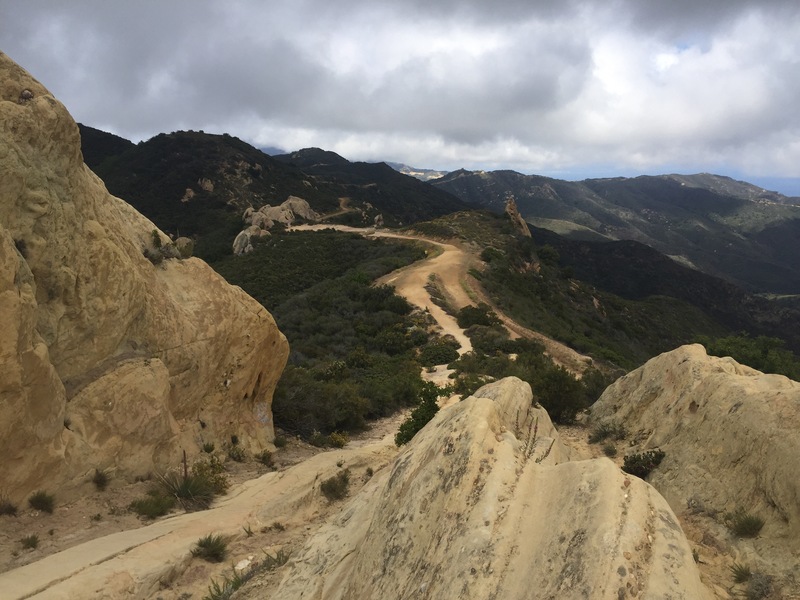 There are several places you can start to hike, and the entire area is still open minus the cave, so there are various trails for running and hiking, as well as parking view points along the road so you can take photos of the Malibu hills. 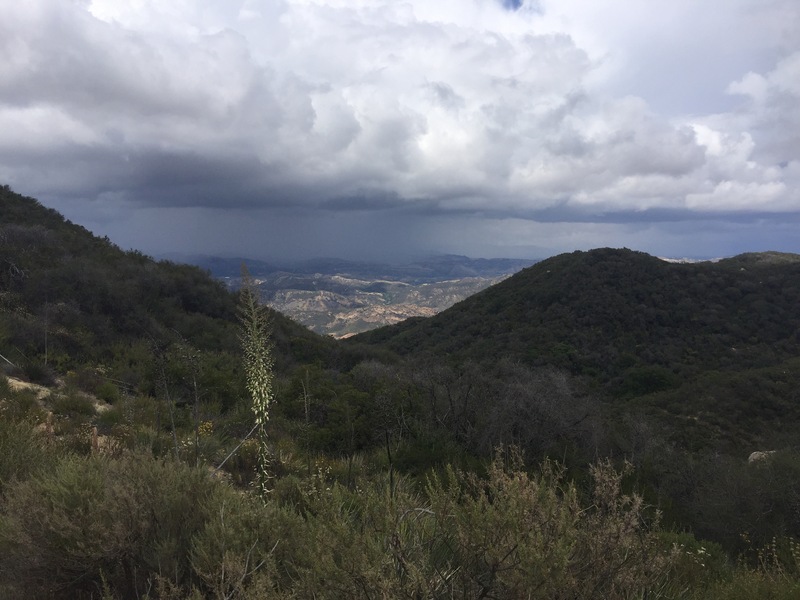 My coworker did the entire Backbone Trail, which is 12 miles round-trip, but Sarah and I read that there was a parking area at the top of Corral Canyon that had a few short hiking trails around, which was good since the night before her running shoes had gotten soaked in the rain, so we were both wearing flip flops. 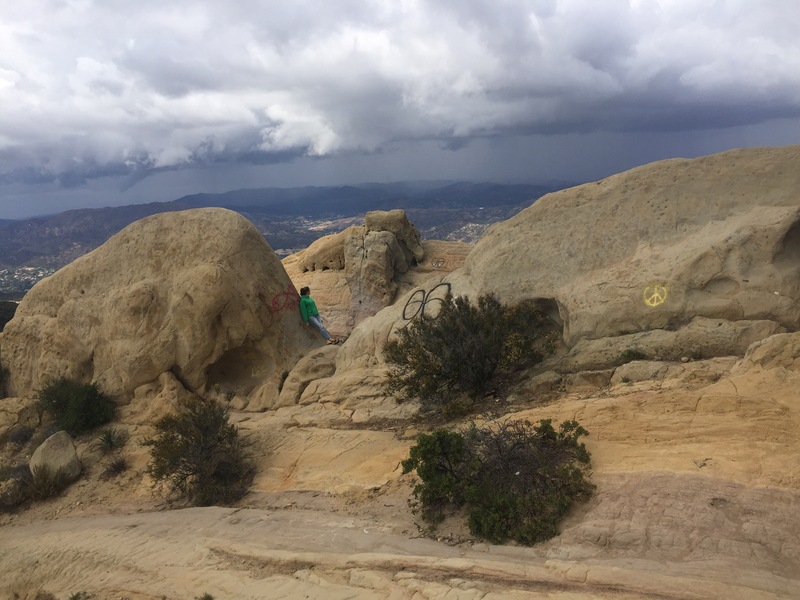 The trail we took started with some large flat sandstone rocks up a slight incline. 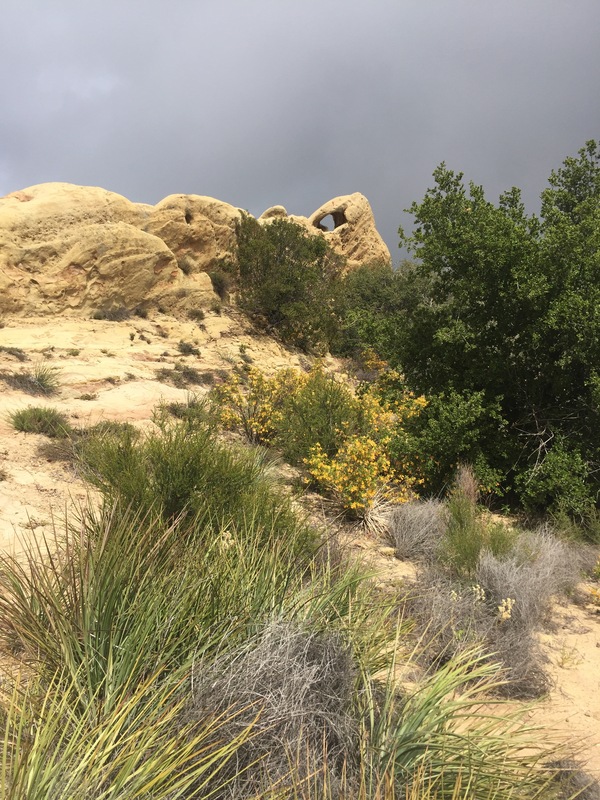 There were some great rock formations along the way, including large boulders jutting out of the ground and an arc-shaped window created by the stones. 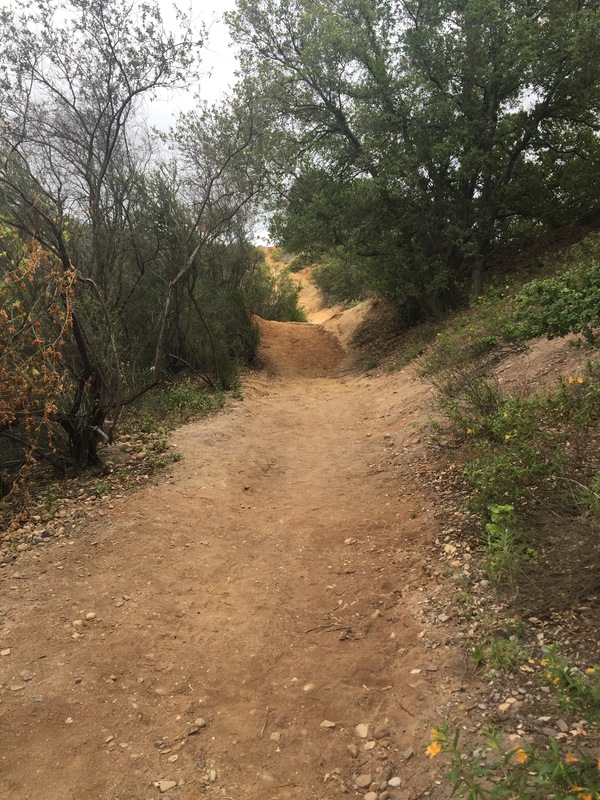 We only walked over two hills, and the rest of the trail we took was relatively flat and easy to navigate in flip flops. 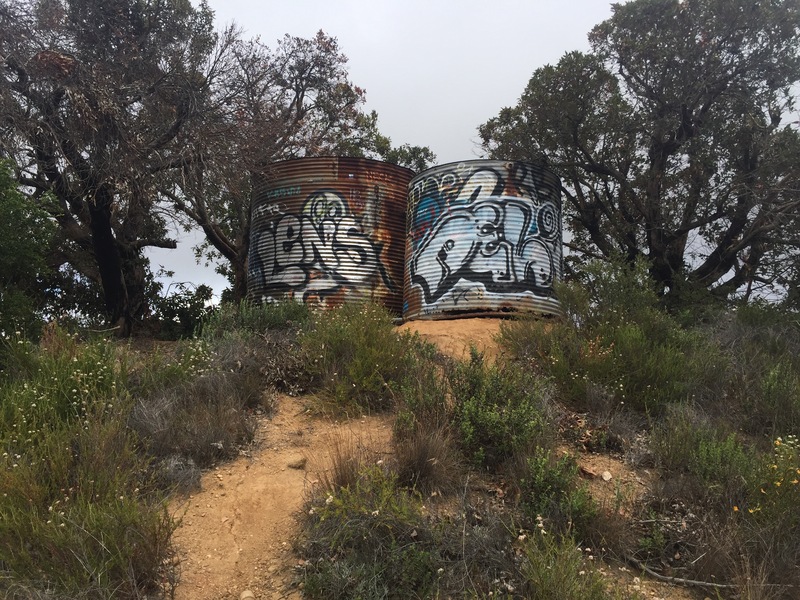 We passed a few graffiti covered water tanks and came to a high point in between the rocks where we could see down into the valley behind us. 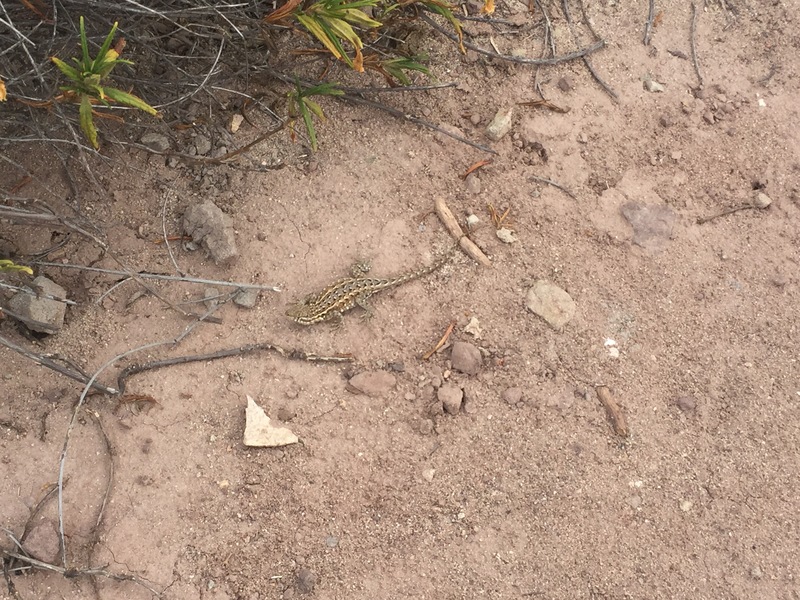 We got some great photos of the plant life, and saw lots of tiny lizards on our walk. 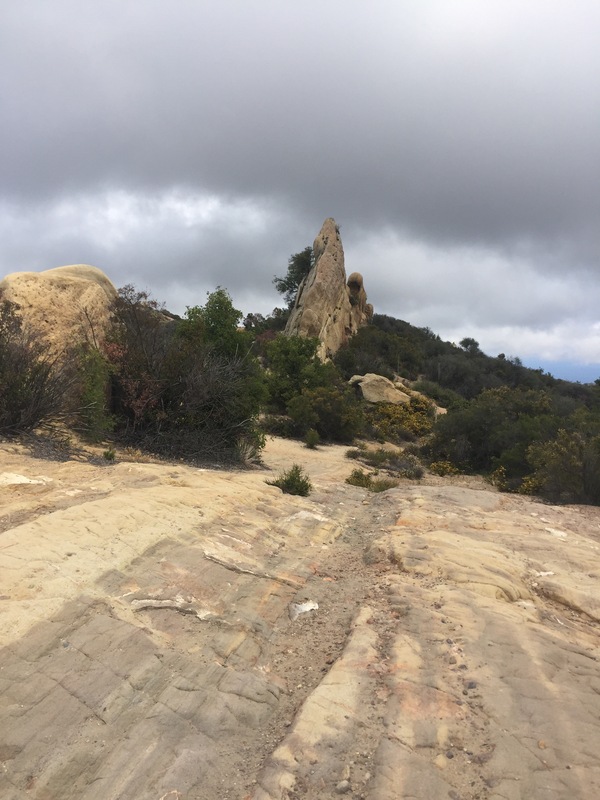 It was a little chilly and windy, so we kept going down the second hill and towards some more rock formations we saw in the distance. 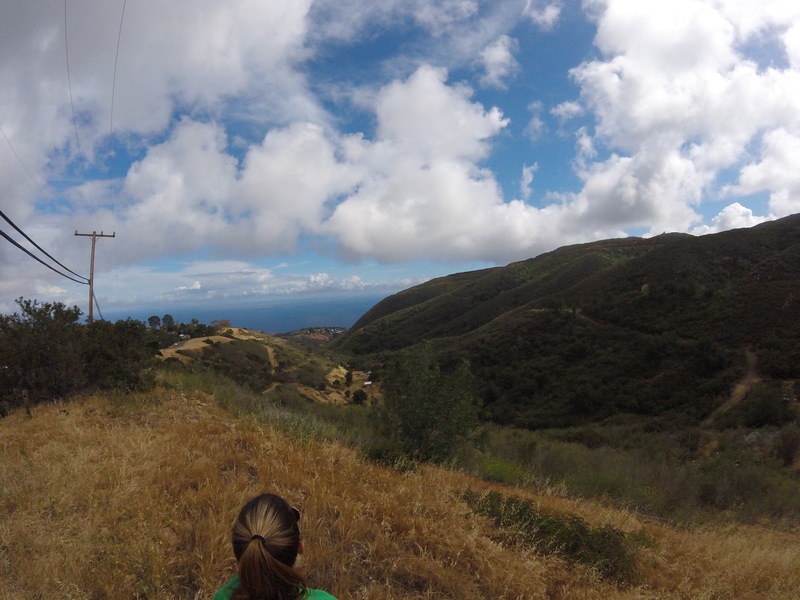 As we walked along the trail, we saw a little off-shoot heading in another direction, so we took it. 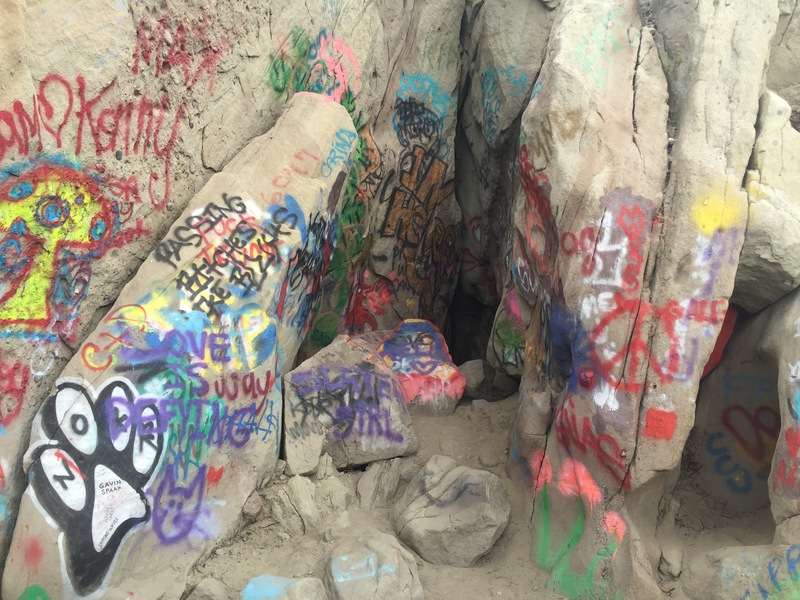 After walking through some overgrown brush, we were alongside some large boulders with graffiti painted on the sides. What at first looked like a dead end turned out to be the entrance to the cave, you just had to stoop down low and crawl up a small “birth canal” to get into it. 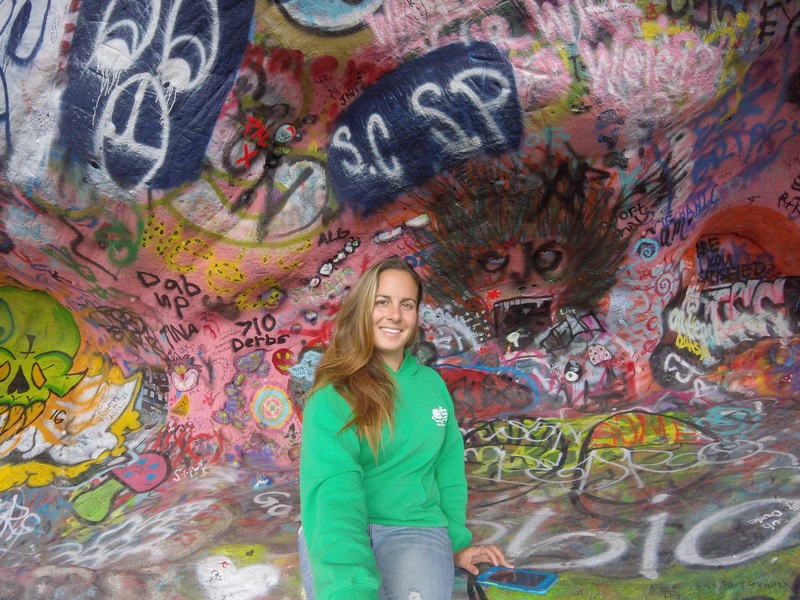 Once inside the cave, Sarah and I were amazed by the amount of paintings and graffiti inside it. 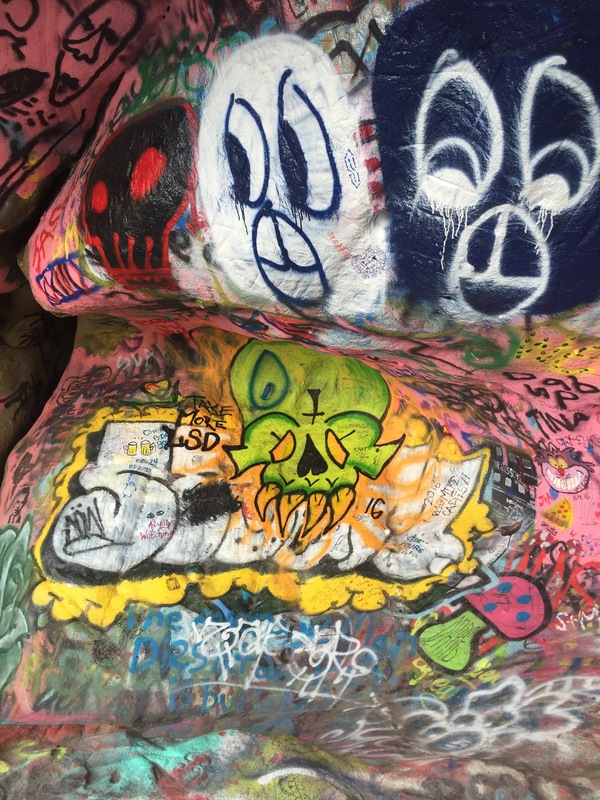 The entire inside is covered, mainly in shades of pink, with wild characters and objects and tributes to the “Lizard King.” While it is beautiful, it is a destruction of land and I can understand why park official closed the area and are planning to paint over it. 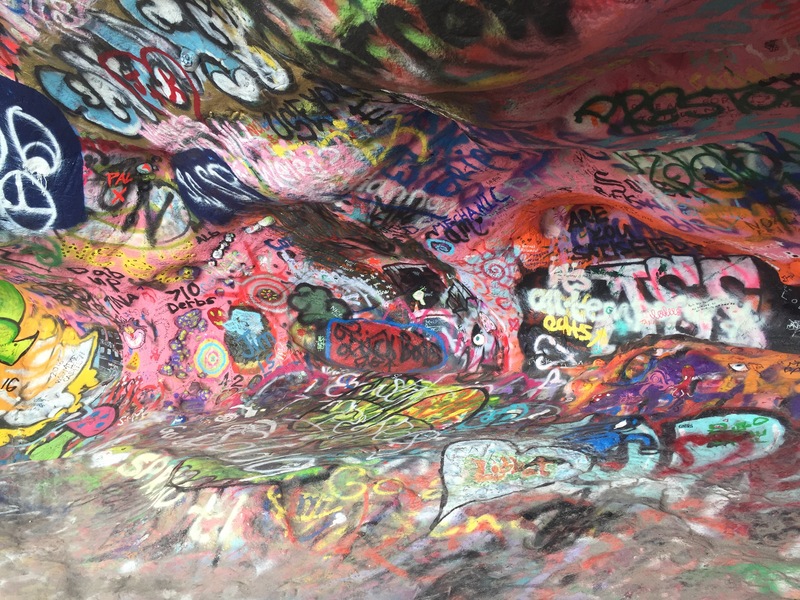 The cave itself would still be a very peaceful and calming place even without the painting, and I can see why anyone, including Jim Morrison, might come here to relax and be alone. The cave looks out over the valley, and there’s a sense of quiet and solitude in the area, that makes you sit and enjoy your surroundings. 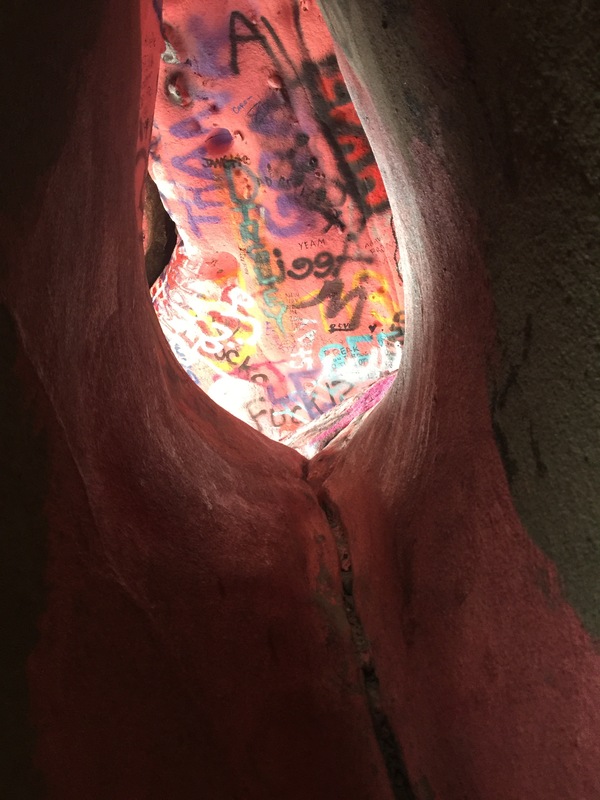 There was a couple in the cave with us when we got there, but after they left we were alone for awhile and we got some great photos of the inside of the cave and the valley below. As I said before, I definitely don’t encourage anyone to violate the law and come to the cave, which is why I was vague on directions to get to it. 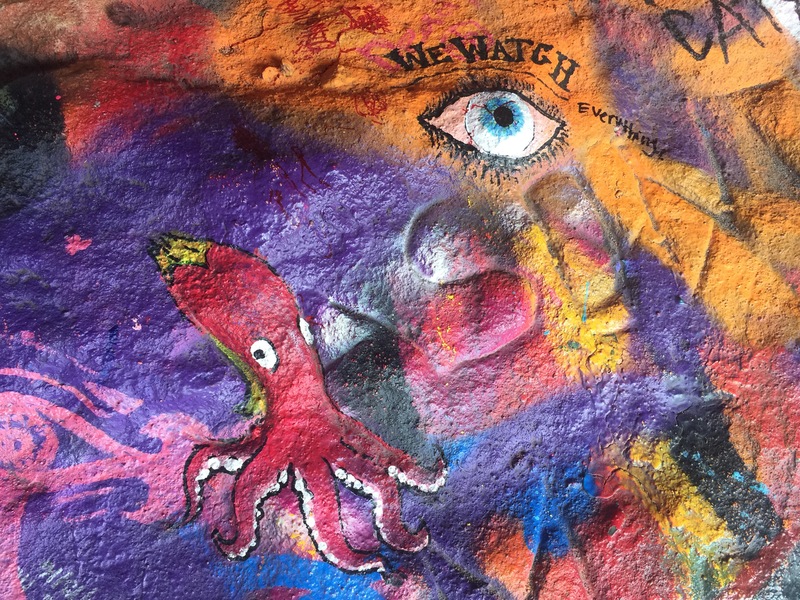 We could have gotten citations, but we didn’t, and we weren’t there to paint graffiti on it ourselves, but to enjoy the hike and the beautiful views, which is why it was originally open in the first place. 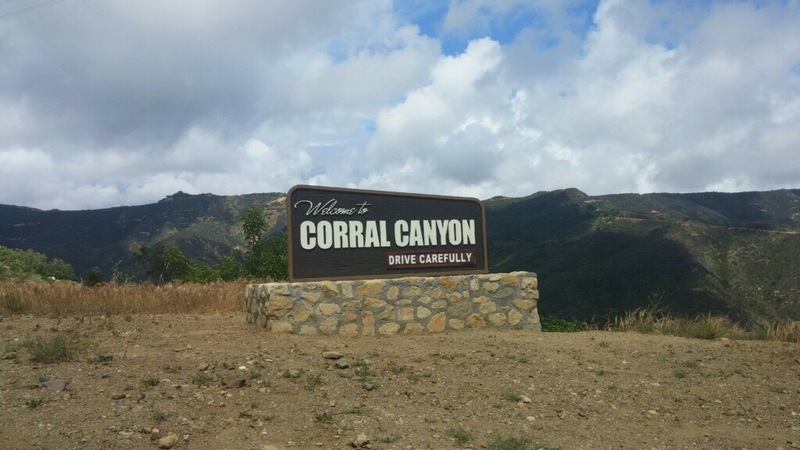 A quick walk took us back to our parking spot and we made our way out of Corral Canyon and back down to the PCH. 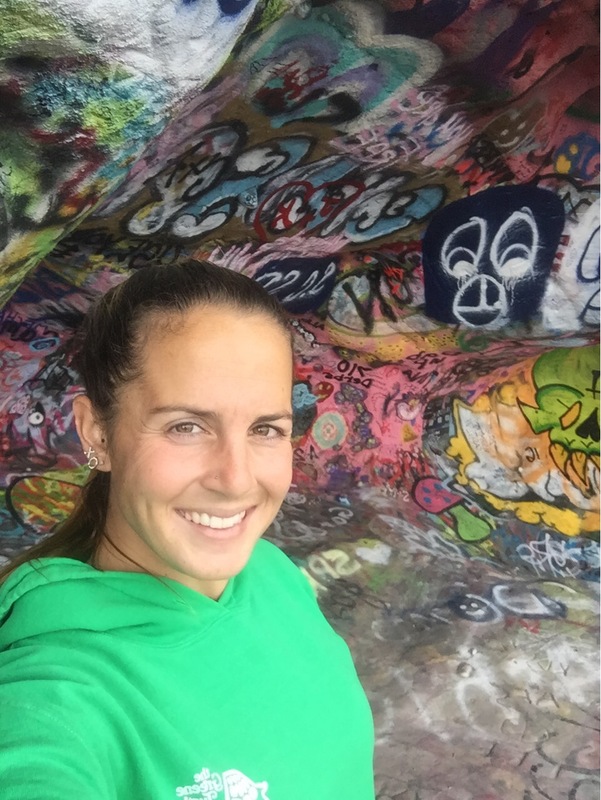 Visiting the Jim Morrison Cave was a unique experience and I’m glad we got to see the area because I will be back again to try some of the other hiking trails. I’m glad I got to show my sister so many different spots during her visit to Calfornia this time and I hope she comes back again soon!